Turf Hacker: Is the best solution always the best? Is the best solution always the best? Often when we search for solutions to our pest problems we are presented with the best most effective solution. Obviously this is what we would expect, especially when coming from a consultant or expert. No one wants to recommend something that might not really work that good right? Typically the best solution is the one that provides the best control. What if we have other criteria? Doesn't true IPM practices demand alternative actions? 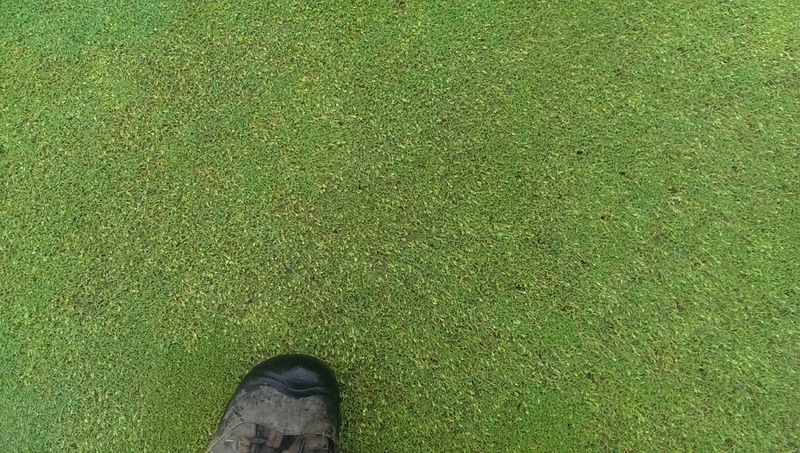 Case in point this summer I had a particularly bad outbreak of Cyanobacteria on my putting greens. I did some quick research and the main recommendation I found was to spray cholorthalonil. Great. A simple and relatively cheap solution. The only problem is that I have set some rather stringent EIQ goals for pesticide use. One light application of chlorothalonil would use up half of my yearly budgeted EIQ. I needed another option. Chlorothalonil would only be used in a worst case scenario. 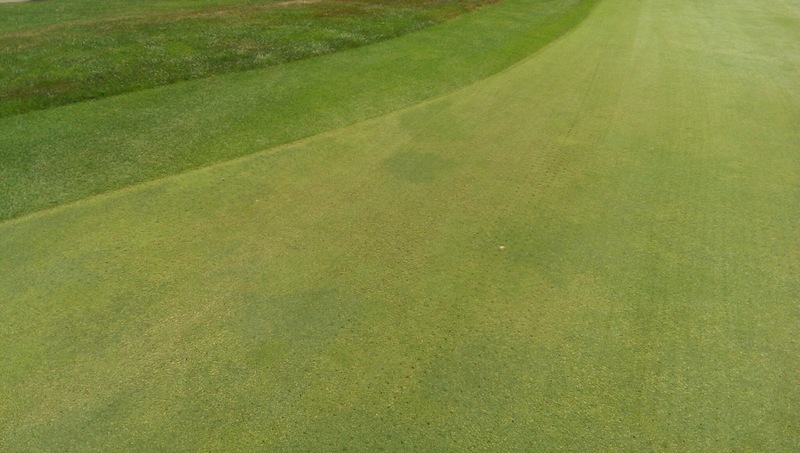 I would continue to research options and closely monitor the health and playability of the greens. Chicken and the Egg. 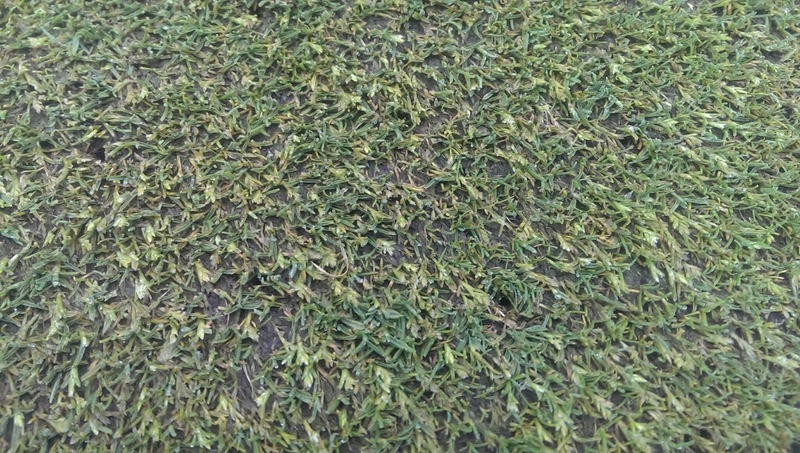 Did the thinned turf cause the Cyanobacteria or did the Cyanobacteria cause the thinning? I tried to dig deeper but almost everywhere I searched the recommendation was chlorothalonil. Of course it was, why would anyone recommend anything else? That stuff works! Finally I was made aware of this research which outlined the impacts that fertility, soil moisture, and many other cultural practices had on the disease. OF COURSE THEY DO! 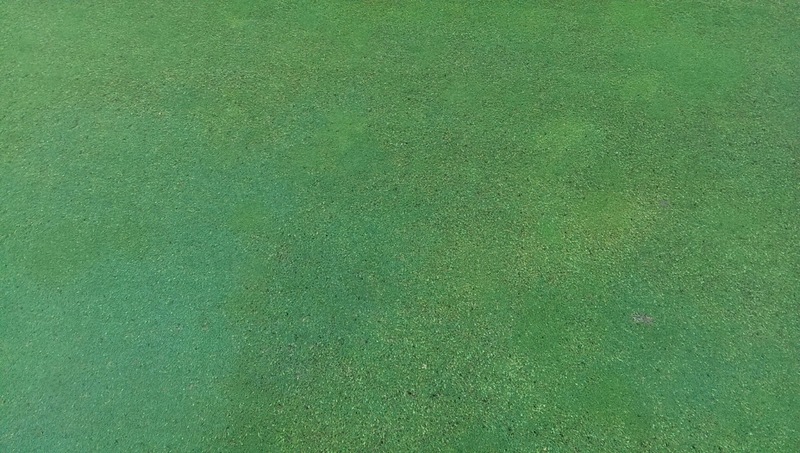 It showed that ammonium sulfate, proper moisture management, wetting agents and phosphite all had impacts on the Cyanobacteria. I just needed to know which products did what. I was already doing most of these things except my main source of nitrogen fertility was urea. As I apply my fertilizer on a weekly schedule I changed the ratio of ammonium sulfate as my nitrogen source to 50% of nitrogen required. 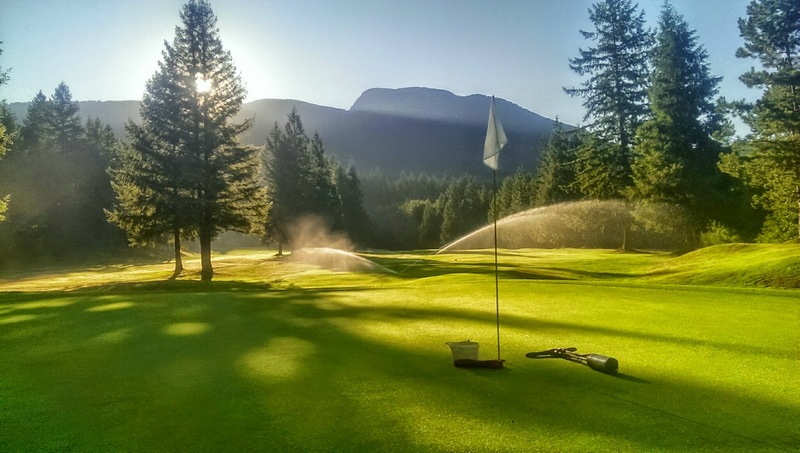 My greens were also a bit wet so I turned off the irrigation system. It was like the disease was telling me "you are getting lazy, Jason. Smarten up. Your greens are too wet." It's a common trend I find. Especially when driving down pesticide use. Get lazy? Get punished! Another thing I tried was a Zerotol (hydrogen peroxide) application. I put down some knock out plots to see if this product was effective. It wasn't. After a few weeks of a higher ratio of ammonium sulphate fertilizer the cyanobacteria was gone. With such a simple modification to my management practices I was able to solve this troublesome issue. The costs were practically nil and the EIQ was also substantially lower even if I included the additional sulfur into the equation. I think a lot of the time we get caught into the trap of chasing perfection. We NEED the best solution. Sometimes this is true. Sometimes the environmental conditions, politics, and clientele demand the best. I think for a lot of us we can probably opt for the less than perfect option and save some money, reduce our EIQ and learn to prevent the issues in the future. I learned that sometimes it is very difficult to find out the "not best" solution. Sometimes all we need is a simple change to shift the cards in our favor. If I had immediately gone with the best solution I would have failed my EIQ goals for the year and I would have missed out on a great learning opportunity. I learned that a little ammonium sulphate in the summer months isn't a bad idea. There was minimal burning (I let it sit on the leaf blade all day before watering in. sizzle sizzle) and the problem was easily managed. I will be keeping a higher ratio of ammonium sulphate in my summer fertilizer applications in the future to keep this pretty widespread disease at bay. I will also remember that moisture management is key when trying to make significant reductions in pesticide use. You just can't get lazy. So whenever we are faced with a disease issue or any issue really I encourage you to dig deep. Ask twitter, try a few things. You will probably learn something new, save some money, and reduce your environmental impact. Don't just jump at the "best" solution.